I once had a friend from Ghana tell me that he did not know he was black until he came to the United States. That statement overwhelmed me. It makes me wonder what we are telling our black youth. It makes me wonder about the messages we are sending about their value as human beings. It speaks to the exclusion to which we relegate our African American population in this country. According to data from the 2014 Census, Memphis is ranked #1 in poverty among cities with over 1,000,000 residents. However, poverty does not affect everyone in Memphis equally. The differences between African American poverty and White poverty in Memphis are striking. Many of the people living in poverty are African Americans under the age of 18 (43.2%). African Americans under the age of eighteen are three times more likely to live inpoverty than non-Hispanic Whites of the same age. Moreover, since 2009, poverty rates among non-Hispanic Whites in Memphis have steadily declined, while poverty rates for minorities have increased at the same time. While poverty is hard on all children, it is harsher on teenagers who are keenly aware of their situation. African American teens have a rough time in this city, with 42% of African Americans between the ages of 12 and 17 living in poverty in Memphis through no fault of their own. Young African American males, in particular are hit by the double scourge of poverty and unemployment. Unemployment rates are almost three times as high for African Americans (13.8%) as for whites (5.9%); in the case of African Americans (both sexes) between the ages of 16 and 19, the unemployment rate is almost 50%. This is not because they are not capable. In Memphis, 35% of African Americans have a high school diploma as their highest educational attainment, more than the general population (29%). Sadly, high school completion does not necessarily translate into college degrees for this population. Only 14% of the African American population in Memphis have bachelor degrees or higher (the rate among the general population is 24%). I am immediately confronted with the toll of poverty and exclusion on educational attainment. I have met many wonderful African American men and women. They are intelligent, quick, witty, wonderful in every way. 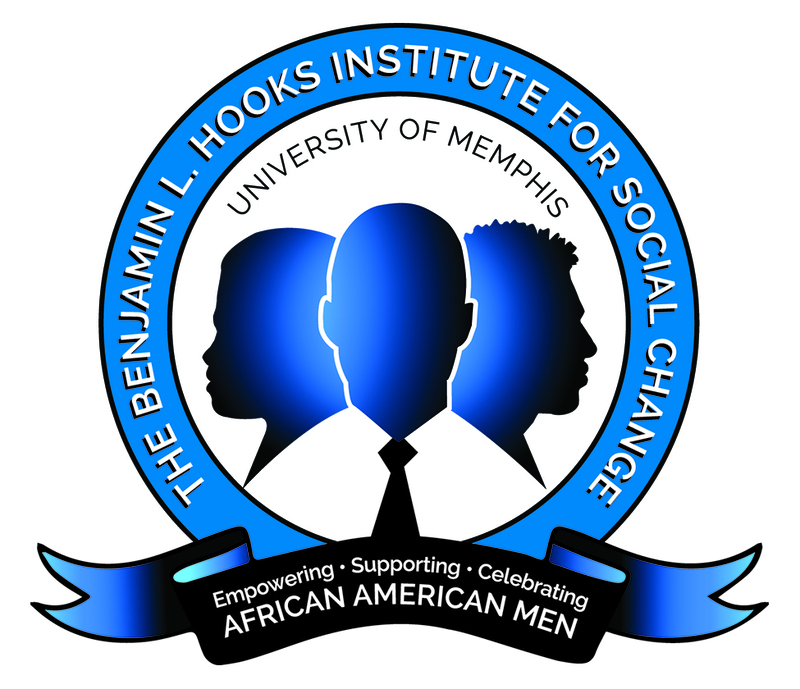 The young men participating in the Hooks African American Male Initiative (HAAMI) are delightful in every way; brilliant and hardworking young men, whose GPA averages are better than the average for the entire University of Memphis. Why is it, then that degree attainment among African Americans in Memphis is so low? I cannot help but think there are some exclusionary forces at work. We cannot become the city of the 21st century that we want to become when we are leaving so many of our residents behind. Given that the city of Memphis has an African American population that is almost 60%, African American poverty and exclusion is a huge concern for Memphis. We cannot continue the systematic exclusion of such a large percent of our population and expect sustainable economic development for our region. Unless we work together to include this very excluded portion of our population, Memphis cannot succeed as a city. 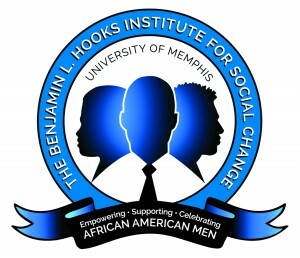 Hooks Institute HAAMI staff. 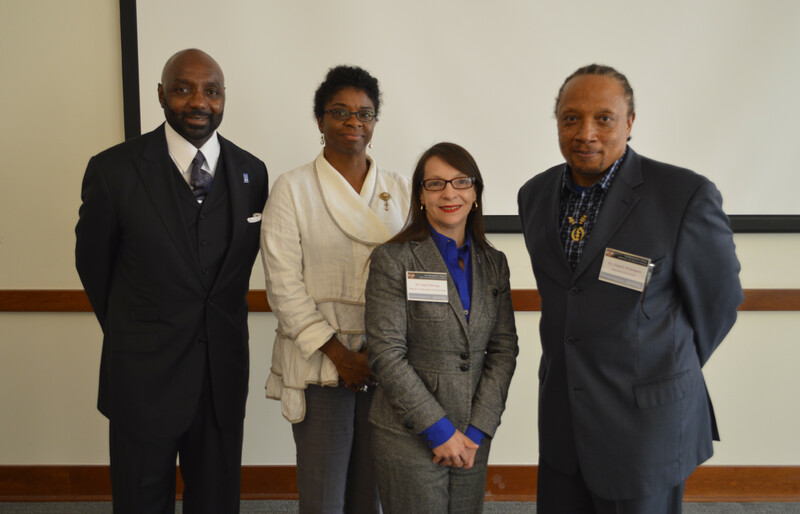 (Left to Right) Tim Rose, Daphene McFerren, Dr. Elena Delavega, Dr. Gregory Washington. When poverty rates decline for whites but not for African Americans, when Black unemployment is twice to three times that of White unemployment, when African Americans are graduating from high school but not completing college at the same rate as Whites, I have to wonder, what kinds of opportunities are we providing for our African American males? Are we really providing opportunities? How unwise of us, how wasteful, to not take advantage of all our resources, of our strong, smart, wonderful young black men. What an absolute travesty and nonsense not to insure that our African American males have every single opportunity for success. Every single one. Education is the engine of our economy, and mentoring is a crucial element. We are here today to begin the work to reverse the trend with HAAMI. Insightful and powerful. Thank you for shedding light on this very important matter.